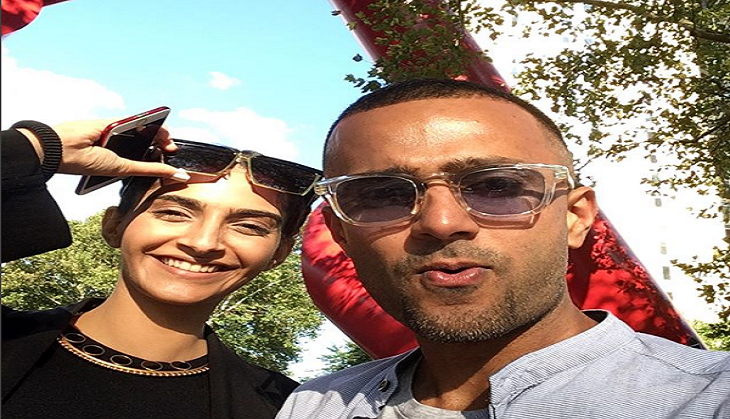 Anil Kapoor's daughter and Bollywood actress, Sonam Kapoor has been dating businessman Anand Ahuja for quite a long time and as per the latest reports the actress is all set to marry him in Geneva. As per the latest reports by a leading entertainment portal, they both will tie the knot on May 11 and May 12 in Geneva. As per the reports by a leading portal, Mumbai Mirror, they both have visited London and now Sonam is in Austria for a five-day spa retreat and she is staying at her favourite resort. The reports of the portal said that the dates and the venue of the wedding have been locked and her father Anil Kapoor is making personal phone calls to all the guests. The reports further said, “There will be sangeet and mehendi ceremonies, followed by a traditional Hindu wedding. The nuptials will be preceded by an engagement ceremony attended by the family's inner circle but the venue for that is presently not known." Well, you must be wondering as to why they have chosen the place as Geneva. Sonam Kapoor who is the brand ambassador of Swiss watch, recently went to Geneva where she was amazed to see the beauty of the place and that is when she decided to take her wedding vows there. It is a known fact that Sonam Kapoor is one of the fashion divas of the industry and therefore it is important for her to dress up glamorously and that is why famous designers Abu Jani and Sandeep Khosla are chosen to design the wedding dress of the actress. Not only this, British designer Tamara Ralph and Michael Russo will also help in designing the couple's wedding ensemble. Sonam and Anand made their relationship official on the 60th birthday celebration of Anil Kapoor in London in December 2016. After that they have been going out on vacations, sharing out pictures on their social media platforms and making public appearances. Congratulations to the lovely couple and we wish them good luck for their future!